The Mastermind brings you an exclusive guide to every single Premier League team going into the highly anticipated 2017-18 season. From lineups, to transfers to the wackiest of predictions, The Mastermind has you covered. Here is your guide to the Premier League’s most recent newcomers, Huddersfield Town. 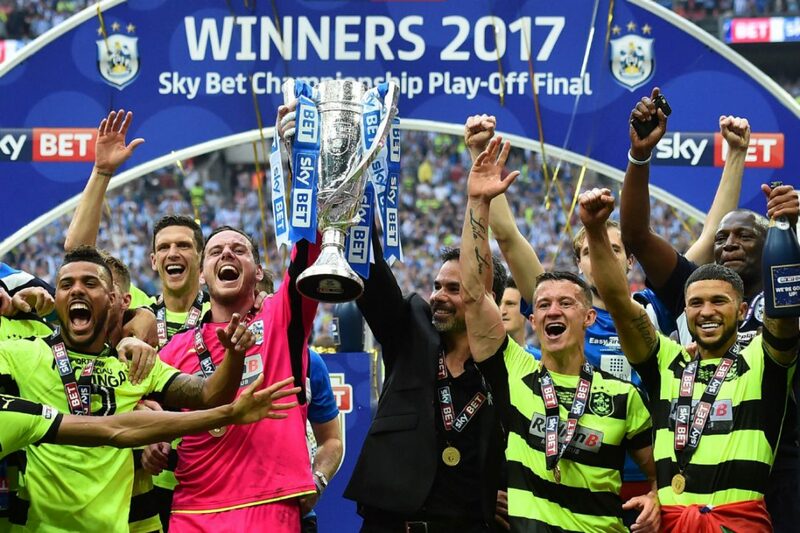 Out of all the teams to get promoted to the Premier League over the years, Huddersfield Town might be one of the most surprising. They finished in an abysmal 19th back in 2015-16 before barely scraping into the playoff scrap of last season with a 5th place finish in the Championship table. But against all odds, they managed to win their way to promotion, beating out the likes of Reading and Sheffield Wednesday in the process. Led by former Borussia Dortmund II coach David Wagner, the club earned their spot in the Premier League and even if they do arrive with a bit of an underwhelming squad it will still be highly intriguing to see a whole batch of new faces enter this league. The club have also made a heap of new signings this summer off-season, causing a lot of doubt as to exactly who will start for Wagner’s side come opening day. Here is your introduction to Huddersfield Town. Huddersfield have made a host of new signings this summer off-season and many of them can be expected to come straight into Wagner’s starting eleven. Tom Ince is one of the biggest names to make a move over to The Terriers as he arrives from Derby County while Aaron Mooy, Kasey Palmer and Elias Kachunga have all been secured for at least a second season after impressing on loan spells in 2016-17. Mathias Jorgensen also joins the club after three years with FC Copenhagen while a new goalkeeper was needed in place of last season’s Liverpool loanee Danny Ward and Jonas Lossl fills the void as he comes over on loan from FSV Mainz. Despite all the new signings though, many of the players that helped the club earn promotion to the Premier League in the first place are still expected to play a big role in 2017-18. Jonathan Hogg and Aaron Mooy are likely to still start in midfield with Kasey Palmer in front of the pairing, while the back four could remain relatively unchanged with only Hefele making way for the aforementioned Jorgensen. Huddersfield, with so many different players however, are certainly one of the most difficult to predict in terms of picking one succinct XI that they are likely to stick with throughout the season. 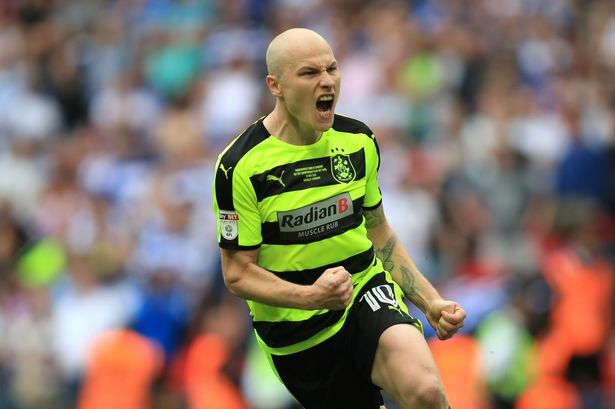 Last season Australian midfielder Aaron Mooy was playing on loan at the club from Manchester City and this season The Terriers have secured his services on a permanent basis. He was easily the club’s best player back in 2016-17, appearing in 51 matches for the club in all competitions and scoring 4 goals with 7 assists in league play alone. Mooy will be an essential player to the club in linking defense to attack and in scoring and creating goals as well, making him a jack of all trades in midfield for the club. The 26-year old now looks to prove all of his doubters wrong and lead Huddersfield to safety in the league in which he belongs. The 20-year old Chelsea loanee will be spending his second season with Huddersfield Town in 2017-18 and with a year of Championship experience underneath his belt now, he could easily be ready to make the step up to the big time and show the Premier League what he has to offer. Chelsea haven’t really ever taken a proper look at Kasey Palmer and now he could be out to show them what they are missing when he plays as a number ten for The Terriers. The attacking midfielder will certainly be looking to improve upon his tally of 4 goals and 3 assists last season and there is no reason why with the added attacking talent that has arrived at the club why he can’t make that happen this season. What a summer it has been over at Huddersfield Town. David Wagner has certainly added to his ranks and has taken full advantage of all of that money earned by gaining promotion to the league, making some smart signings for low prices. Tom Ince is a player that should have made a move to the Premier League years ago and finally arrives now for a fee of £11.3m. Steve Mounie is also an impressive signing after he scored 14 goals in 35 Ligue 1 appearances last season. The already mentioned Aaron Mooy was also secured on a permanent basis from Manchester City for £8 million while Elias Kachunga‘s services have been secured for a second season from FC Ingolstadt. Kasey Palmer and Jonas Lossl have arrived on loan from Chelsea and Mainz 05 respectively while two more Championship players have made the leap up to the top flight, Fulham defender Scott Malone and experienced American midfielder Danny Williams from Reading. Laurent Depoitre is another signing after he failed to impress at FC Porto, as is towering central defender Mathias Jorgensen who joins after three years with FC Copenhagen. Tommy Smith will be one of the league’s highest assisting defenders. Huddersfield will struggle for a long time to secure their first win of the season. No Huddersfield player will score more than 8 goals in the league. Inconsistency and a lack of cohesiveness will cost the club as they suffer relegation. Aaron Mooy will be the club’s Player of the Year. David Wagner will not be sacked. In the end, Huddersfield just won’t have enough of what it takes to make it in the Premier League. They’ve made a few decent summer signings but even that won’t be enough to secure them enough wins to stay in this league. It may be easy to pick them for this position given their place in the Championship last season and how they only scraped through to the Premier League via the playoffs but it also makes a lot of common sense just simply looking at their squad alone. Admittedly David Wagner is a very good manager and one that promotes a lot of togetherness and positive energy within his team but with so many new signings it is hard to see where they are all going to fit in and the club may have trouble finding their feet before it’s too late. Huddersfield may be fun to watch this season but they may very well go back exactly where they came from, back down to the Championship.